You may be wondering why I am writing on this topic today, it being February 13th, and all. After all, it is still about 10.5 months before Christmas, isn’t it? This past Christmas, we, like most Americans, put up a Christmas tree. There is nothing unusual about this – we, like most Americans, do this every year and have done so since the year we were born. Each year we put it up, decorate it beautifully, throw presents beneath it on Christmas Eve and take it down after the Christmas Season (which actually ends in early January, about the 8th). For the last very many years, we have had an artificial Christmas Tree.. Not that we don’t like real trees, but it seemed like a good idea at the time we bought it very many years ago. Why did we buy an artificial tree? We got tired of needles falling off and getting into the carpet. It would save us money in the long run because it would pay for itself after a few years (about ten of them as it turns out). It came with one thousand, six hundred lights already attached, so it would save time stringing them ourselves. Also saving me from possible electrocution, and/or having to go to confession for using The Lord’s name in vain. Before the fake tree, I always waited to go to confession until after the erection of the tree. This meant that we had to put the tree up quite early in the season. And this may explain the dry needles all over the place. 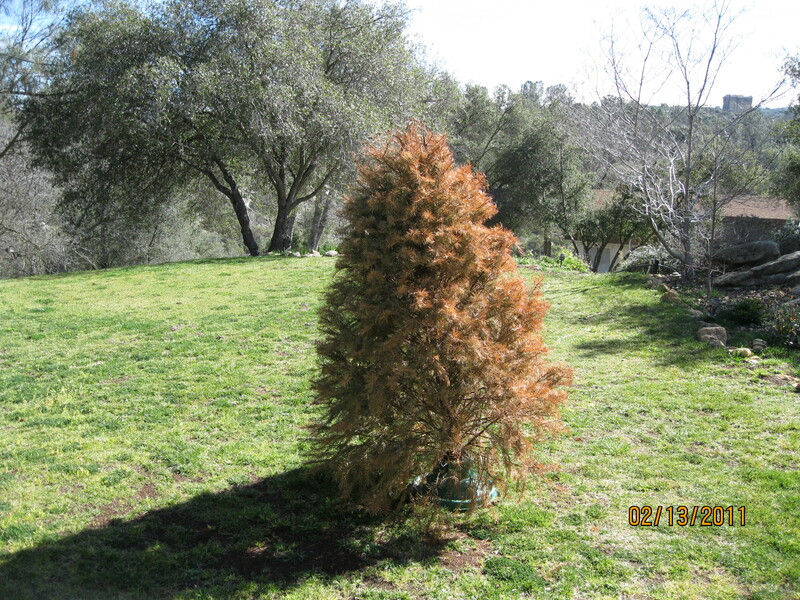 This (last) year, however, we decided to go au natural in the tree department. This was a multi-faceted decision based on several things. First, the fact that it really wasn’t so easy to put the thing together. In reality, it was a long arduous process, and it always led to multiple cuts, scratches and abrasions on unprotected hands, arms and faces due to the requirement for shaping the hundreds of branches. Assembly required gloves, long sleeve shirts, goggles, etc. This job is dangerous. Naked people need not apply. Another factor in the decision was storage of the tree after Christmas. The same hazards listed above combined with the fact that every year, the Christmas Tree box seemed to get just a little bit smaller. This, of course, made it just a little bit more difficult to restore the tree to it’s natural state of hibernation in the off season. OK – so we got a real tree this year. It was GREAT! It smelled like a tree! And decorating it was actually kinda fun! All who saw it loved it, especially Judy and me. We had a slight challenge in that Max seemed to acquire a taste for pine needles, but other than that, it was good. Removing the decorations was easy, figuring out what to do with the thing was not… We have been trying to figure out what to do with the now dead tree – we don’t think we’re supposed to just put it out with the trash… We are attempting find that out but haven’t yet received an answer. I, on the other hand, think it goes well the the natural surroundings, don’t you? Hello friends.. Kammerer here again..
You may think, by the title of todays offering, that I am about to embark on an object lesson on Driving while intoxicated. Tut tut! Nothing could be further from the truth..
You may even have flown, yourself, at some point.. You may have flown from San Diego to Seattle. Or from New York to London. Or even from Rome to Salt Lake City. And if you have ever flown anywhere at all, it probably would have been for good reason – like it’s too far to drive. Or you wanted to get there sooner than you would if you drove. Or you like peanuts and Ginger Ale. Indeed, the biggest excuse for flying is option one – it’s too far to drive. In fact, I would venture to guess that we choose our reasons for picking any form of transportation based on distance..
You decide to walk because it’s too far to sit your way to the refrigerator. You decide to ride a skateboard because it’s to far to walk to your BFF’s house. You decide to ride a bike because it’s too far to ride a skateboard to the local park to watch an exhilarating Lawn Bowling Match. You decide to drive because it’s too far to ride your bike to the ball game. You decide to fly because it’s too far to drive from Florida to Antarctica. As you can see, there is a direct correlation between the distance to be traversed and the method of traversing that distance..
Suffice it to say that people fly because where they want to go is a very long way from where they are. You don’t fly from your house to the grocery store, but you do fly from your house to the other side of the country. Unless your name is Hildegard (perhaps not your real name). And you need to get from Burbank to Orange county. A distance of 52.2 miles. And you don’t like traffic between airports. I have reservations about this habit, though, because my friend probably lived somewhere between the two airports, and she probably wanted to get somewhere also between the two airports. This would reduce the distance between her house and her desired destination to something below 52.2 miles. And when you take into consideration that her house is probably not right outside the Burbank Airport gate, and her destination is, likewise, not right outside the John Wayne Airport gate, you could end up with a fairly large reduction in distance to be traveled in order to get from point A to point B. Now the 32.2 mile figure assumes that you actually live at the gas station. This is not often the case in real life, so we can assume that there is a further reduction to be had by locating the residence some minimal distance from the gas station. Let’s also assume that, because if you live in a gas station, you are probably not going to drive very far to get to a gas station and, therefore, your desired destination is also probably not at the gas station, either. So what’s a good minimal distance from the gas station for your house? I’d say at least a mile. For the sake of reality, let’s also apply the same minimal distance to the destination/gas station ratio. But wait! What if your house is not right in the commercial district of Burbank, but is located some distance away in a nice middle class suburban neighborhood? Ah… Add another 4 miles to the distance to the gas station from your house. And that distance will always be further from the airport than from the gas station, so we now have a further reduction of 4 miles, or 26.2 miles between home and where you want to go. We will further assume that “destination” is in not in a commercial district of some sort, but is in a business park. And because business parks are usually located out in the middle of absolutely nowhere, we must move it another 10 miles away from where it really isn’t in the first place. So, now we are at about 16 miles between points A and B. Your residence is 15.1 miles away from Burbank Airport. Your desired destination is 21.1 miles away from John Wayne Airport. 52.2 – 36.2 = 16 miles between home and destination. OK, so now you are 16 miles from where you want to go. So let’s fly there, shall we? You have just gone 88.4 miles to get 16 miles. Then, once you got to the JW Airport, you had to rent a car. Then flew back to the Burbank Airport. Once you got there, you paid for parking for your car and drove it home. And all of this doesn’t take into account the fact that you probably drove half way there in the plane just getting to and down the runway. ** The two exceptions I have found are in Aspen, CO and Sacrmento, CA. I can’t really count the one in Aspen because they charge about 1.5 times the national average for a gallon of gasoline. The one is Sacramento is pretty awesome – it’s right there on the airport grounds and you have to pass it to get to the terminals and the rental car return. The problem with that, though, is that if you rented your car in Atlanta and feel obligated to return it to the same location from which you acquired it on time to catch your return flight home, you can’t return it in Sacramento, can you? This is a test of the new WordPress “Publicize” feature. This is only a test. However, this is only a test, so you can ignore it. Of course, if you are interested in my test, you are welcome to read it. BUT… If you aren’t interested, I cannot force you to read this test. I wouldn’t, even if I could, so don’t wory about it – you won’t hurt my feelings if you don’t read this. Of course, if you don’t read this, you won’t know that it really doesn’t bother me that you choose not to read this test, and that might make you think you hurt my feelings. And that would bother me because I don’t want you to feel obligated to read this test. That being the case, please read because if you don’t, you may develop serious guilt pangs, believing that I am bothered by the fact that you didn’t, and I’m sure you have better things to feel guilty over than not reading my test. So in the long run, it might be better just to read this, and get it over with, in order to avoid unjustified feelings of guilt which can lead to depression which (in severe cases) may lead to over eating and slothful habbits which may lead to unwanted weight gain which can (in severe cases) lead to deepening depression and, in the long run, more unwanted weight gain. Of course, there is the slim chance that you might make a lucky guess that I won’t be bothered if you don’t read my test, in which case you may not develop unwarranted feelings of guilt and all of the unwanted weight gain associated with it. In that case, you don’t need to read my test. It’s your choice, so make it… Dosen’t bother me in the least… Just make sure you guess right, and don’t come crying to me if you guess wrong and end up weighing 900 pounds. Of course, on the positive side, if you guess wrong, you can sit anywhere you want.